Few countries in the world are as heavily regionalized as Italy. For the size that it is, you would be forgiven for thinking that what is true in the north is just as true in the south – but you couldn’t be more wrong. On top of the climate changing drastically from mountain to sun-kissed Mediterranean, the culture is dramatically different – with the north being more industrious and the south being more laid back. Everyone has their favourite region of Italy depending on what they like to do and their worldview, from skiing in the north to relaxing in the south, but it can’t be denied that Italy is a place for citizens of the world as it’s just that amazing. While not home to the monuments of Rome or the unique layout of Venice, Florence remains for many people their favourite spot in Italy perhaps because it isn’t either of the other two cities. The heart of Tuscany, Florence has the perfect mix of culture and old world values that make it a welcome change for any Italy-traveller’s vacation if they’ve just come from either Rome or Venice. You can spend a week in Florence just wandering around and have the time of your life, as it’s in this simplicity that its charm lies. Some of the great things to do and see in Florence involve nothing more than a good pair of shoes and a sense of wonder. 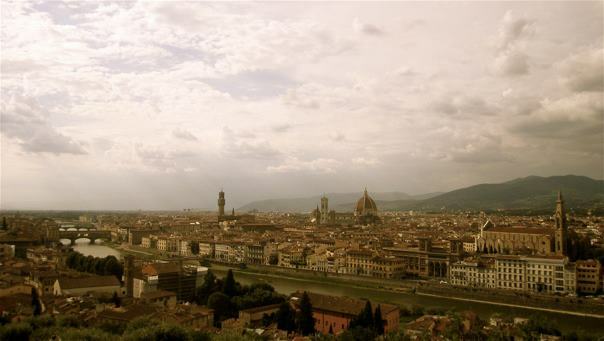 Of all the places that a first time or forty-first time visitor to Florence will rave about is the view from Piazzele Michelangelo – simply because it is that good. Getting up there as the days rays break upon the city or just as all light fades away is a sight you can’t ever get tired of and may find yourself returning to every day of your stay. Toss in a bottle wine and some gelatto and you may have your new definition of heaven. 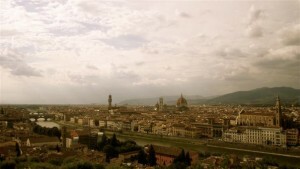 A stay in Florence opens up many side trip opportunities depending on your tastes and time frame. Journeying into the Tuscan countryside can give you a break from the city and let you see those traditional hilltop towns where it seems as though nothing has changed since the old days of empires. Hopping a train to Pisa will let you gaze at the tower that just won’t fall over (thankfully) and realize there is more to this place than an architectural nightmare. Want the old world fishing village experience complete with great hiking and even better wine and seafood? Hope a local train from La Spezia to the Cinque Terre and wonder what it would take to sell all your possessions and just move here. Seriously – it’s that good. When all is said and done though, Florence really is a place for people who enjoy a rich travel experience. It has the culture, cuisine, history and connections to please even the toughest of critics and ensure you will want to revisit it for years to come. If you’re in the market for a little slice of Florence when you’re here and don’t want to stay in an overpriced hotel, opting instead to visit the markets and do a bit of the traditional thing, consider finding an apartment through Only Apartments. With many to choose from, there’s sure to be something that will make your Florence dreams a reality.